Good news! “JYJ special magazine THE JYJ” will be released in January. You can see 1000 days of JYJ and interviews in that magazine! It will be published in Korean and Japanese. More information will come out soon!! Check the teaser video! 씨제스 스토어에 반가운 소식이 올라왔네요! 1000일의 기록과 인터뷰를 담은 신개념 매거진! 1월 한국어, 일본어로 동시 발매 됩니다. 곧! 자세한 내용이 공개 되니 많은 기대 부탁 드려요~! Licensed for the Indonesia, Malaysia, Europe, Middle-East, Africa and Oceania regions. The loss of your first love can influence everything you do and every decision you make for the rest of your life. Han Jung Woo (Park Yoo Chun) is a homicide detective who pursues murderers and puts them behind bars. When he was in high school, he was in love with a girl whose father was a murderer. She would get bullied and teased by other kids, and Jung Woo would always stand up for her and try to protect her. But an accident separates the two lovers, and each is forced to go on with his and her life. But Jung Woo has never given up his love for his first love. Fourteen years later, that girl, Lee Su Yeon (Yoon Eun Hye) is a fashion designer who is still haunted by her past but trying to move on with her life. She is dating financial consultant Kang Hyun Jun (Yoo Seung Ho), who adores her and will do anything for her. But his jealousy emerges when Su Yeon and Jung Woo meet again by chance in adulthood and their past feelings for each other surface. Kim Eun Joo (Jang Mi In Ae), an artist, also is envious of Su Yeon’s hold on Jung Woo’s heart. Will Jung Woo lose his first love twice in his life, or does fate have other plans for them? “I Miss You” is a South Korean drama series directed by Lee Jae Dong. 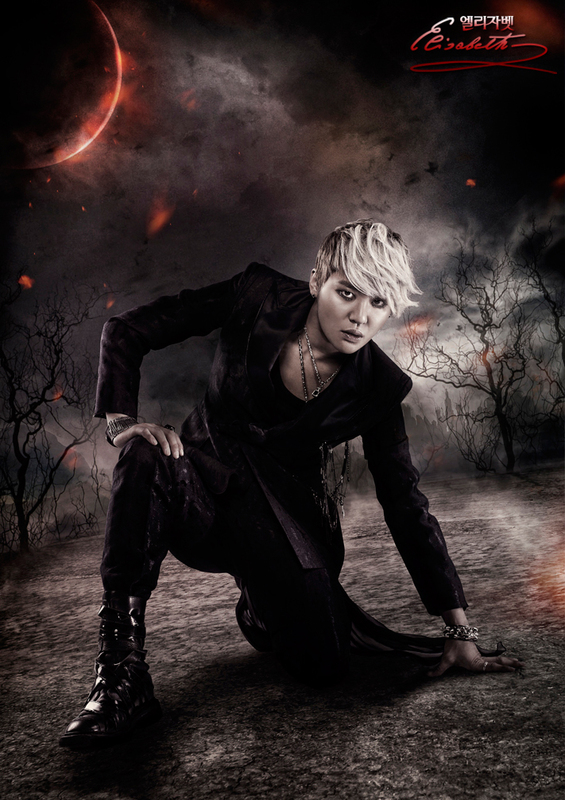 Ichikawa Rie came from Japan to see the musical “Elisabeth.” She is a fan of JYJ’s Jun-su, who is starring in the show. “I was thrilled to see him performing the role of Tod, or Death, live,” Ichikawa said. Rows of wreaths stand at the lobby of Blue Square Music Hall, a new theater in Hannam-dong, Seoul, where the musical is being staged. They are from fans of the actors and the language on the ribbons varies from Korean and Japanese to Chinese and Taiwanese, showing the diversity of support. The recipients are not only K-pop star Jun-su and television actor Song Chang-eui, but musical actors Ryu Jung-han and Park Eun-tae. The Korean musical industry is busy attracting foreigners to local theaters, while making forays into overseas markets at the same time. The Korean musical industry has been steadily building up for years, growing bigger as big shows cast K-pop singers. According to Interpark, the nation’s largest online ticket seller, the size of the market was around 250 billion won in 2011. It has grown for the past decade. Interpark Ticket Global, an English reservation service, opened in August 2009 and tickets sold jumped over 167 percent in 2011, compared to the previous year. “Hallyu,” or the Korean wave, for musicals began around 2009 when Ahn Jae-wook was cast in “Jack the Ripper.” His appearance drew fans from overseas, signaling the possibility of a Korean wave in plays and musicals. M Musical Company, the producer of “Jack the Ripper,” said more than 10 percent of the audiences were foreigners, mostly Chinese or Japanese. Musicals based on hit movies and television dramas have been staged overseas, bringing existing fans of Korean pop culture to theaters. “Two hundred-Pound Beauty,” another movie-turned-musical starring KARA’s Park Gyu-ri, sold tickets worth some 400 million yen during its run in Kyoto last October, thanks to the popularity of the girl band in Japan. Some productions target hallyu fans from the beginning. PMC Production, famed for the success of the non-verbal performance “Nanta,” staged the musical “Romance of Their Own,” based on the 2004 movie of same name, in 2011. Musical critic Cho Yong-shin said considering overseas markets from the planning stage has become a trend for shows in Korea. “Previously, theatrical works were produced only for the home market, but the domestic market is saturated. Instead of accepting such limitations, producers are now making inroads into international markets,” Cho said. He said there are so many musicals created in Korea and some of them are suitable for overseas. According to Interpark, 2,140 musicals were staged in Korea last year alone, a 14 percent jump from 1,880 in 2010. “K-pop is now on the forefront of hallyu and more producers are eager to cast K-pop stars in their shows. Jukebox musicals featuring K-pop are also being experimented with. These can be seen as an aspect of the diversity,” the critic said. Neighboring countries, China and Japan, are prime targets for Korean musicals heading abroad. CJ E&M, a giant investor and producer in the musical industry, made a successful entrance into China by establishing joint venture United Asia Live Entertainment with China Arts and Entertainment Group and Shanghai Media Group. It co-produced a Chinese version of “Mamma Mia!” in six cities from Shanghai to Beijing and Guangzhou last year. The six-month tour drew 250,000 people and recorded 20 billion won in sales. CJ E&M mediated between the original creators from the United Kingdom and the local Chinese production based on its rich experience in staging licensed musicals. “Mamma Mia!” will tour 10 more cities in Greater China including Hong Kong and Macau and “Cats” is in preparation for its Chinese opening in September. Since China is an enormous, emerging market, CJ E&M ultimately seeks to introduce homegrown musicals. CJ E&M takes a different approach to Japan. The firm took part in staging “200-Pound Beauty” there with original Korean production company Shownote and the Shochiku Company in Japan. “It created a synergy of good content with K-pop singers such as Gyu-ri of KARA. We see more possibilities for musicals with the existing popularity of hallyu, especially K-pop there,” Kim said. CJ also said two more musicals are sounding out possibilities in Japan this year — “Street Life,” a DJ DOC jukebox musical, and “Lovers of Paris,” based on the 2004 drama. “We could create a ’one Asia market’ covering China, Japan and Korea, and Korea will lead the musical industry,” Kim said. Small productions are also making their way abroad. “Laundry,“ a homegrown musical that enjoyed success in the Korean theater district Daehangno drawing some 280,000 people since its premiere in 2005, was performed in Japan in February. Japanese production company Pure Marry bought the license for the show and Japanese actors performed the roles. Chu Min-joo, playwright and director of the musical, went to Japan to head the show. “Laundry” portrays the everyday life of ordinary Seoulites. “I worried that Laundry might only draw sympathy from Korean audiences, but it resonated with those from different cultures as well. This is a meaningful step for a Korean musical,” Lee said. JYJ’s Yoo Chun is always considerate of his fans. 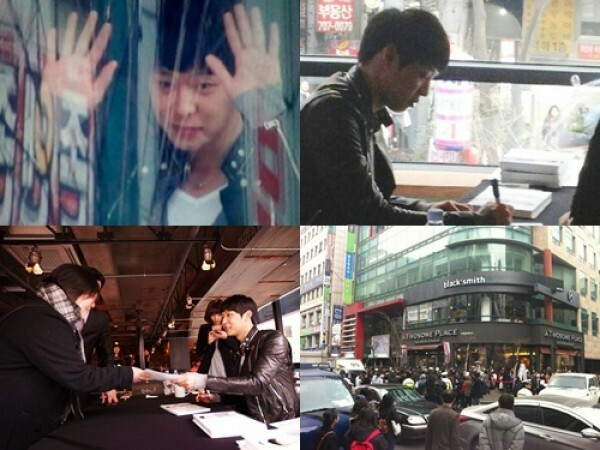 On February 27, SBS TV reported that Yoo Chun never forgets to take care of his fans despite his busy schedule for his new drama series The Rooftop Prince. 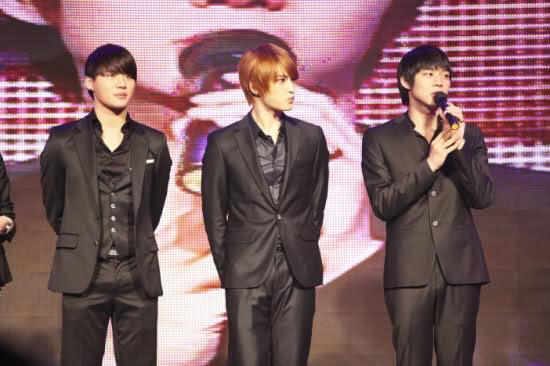 Yoo Chun is also promoting JYJ’s documentary film The Day with Jae Joong and Jun Su at movie theaters while shooting the drama series. Receiving the news that one of his fans opened the franchise, he willingly held the singing on the day of its first opening. As the signing started, he signed autographs for his fans, asking their names and saying hello to them with a smiling face. Yoo Chun also gave a sweet smile to his Korean, Chinese, and Japanese fans, who had waited for him since a day ago, and didn’t forget to leave some messages at the restaurant, wishing its prosperous future. 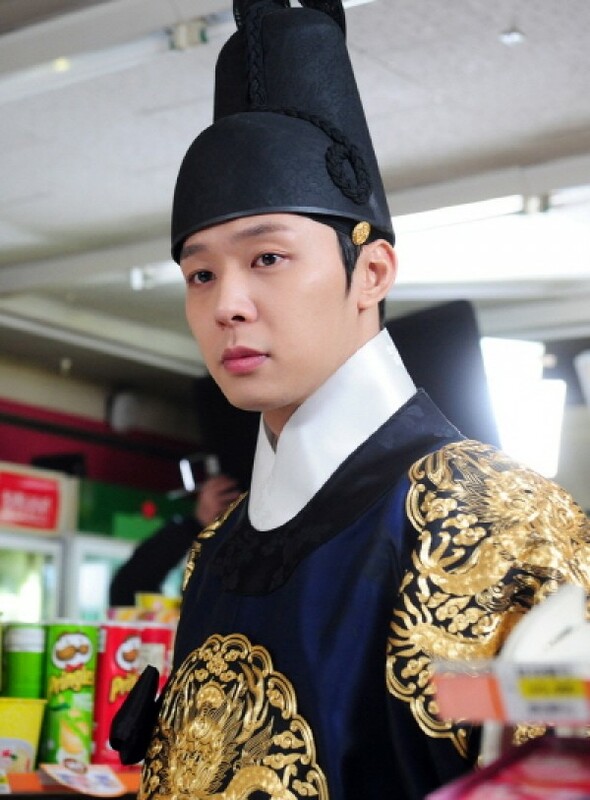 Yoo Chun is playing the role of prince Lee Gak, who came to the present from the Joseon Dynasty period of 300 years ago, in The Rooftop Prince. The Rooftop Prince will start airing on March 14 after Please, Captain goes off the air. The lucky fans got up on the stage to get YC signed poster and high-fived with him. Everyone did have their precious moment with him!! At the beginning he asked if the fans wanted him to speak Eng or Korean and the fans chose ‘English’ but after he talked in Eng for a while. He swapped into Korean. Additionally, JYJ received the cancellation notice for KBS’s “Jeju New 7th Wonder Wishes Special’ just four days before the broadcast and the representative company have submitted the complaint to the official committee.